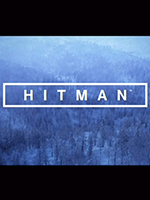 Für Hitman ist im Vorfeld der Veröffentlichung der "Definitive Edition" am 15. Mai (wir berichteten) ein Update erschienen. Das Mai-Update-2018 umfasst einen neuen Schauplatz für den Contracts-Modus (The Source aus Patient Zero), eine Fehlerkorrektur im Zusammenhang mit der Bildwiederholrate auf PC (Bildwiederholrate ist nun wieder unbeschränkt) und weitere Verbesserungen bzw. Veränderungen. We've made numerous back-end changes to support the release of the Definitive Edition. This includes support for the Anniversary Outfit Bundle and displaying the WB Games logo during the bootflow for players with the Definitive Edition. It is now possible to create and play Contracts on ‘The Source' mission from the Patient Zero campaign. Contracts Search and Lookup functionality has also been added for this mission. Players will be required to own the GOTY missions to play Contracts on this location. We've fixed an issue with ‘The Pharmacist' Elusive Target that would cause the target to suspend their routine. This target is now back into rotation for Reactivated Elusive Targets. We've adjusted the messages for the Elusive Target tile on the Featured Hub to clearly show the status of the upcoming or active Elusive Target. If you have already completed or failed the contract, you will be informed of that. This will help players know whether they have previously completed or failed the contract. We've corrected an issue on PC that was introduced with the GOTY Edition that limited the framerate on PC to 100fps. The framerate will now be as high as your hardware and graphic settings will allow. We've fixed an issue that could cause 47 to get stuck in a wall, teleport or fall out of world in a staircase in Sapienza. We've fixed an issue on PS4 that could cause the game to become unresponsive when resuming the game from Rest Mode during the Vector mission. We've fixed an issue on PS4 that would occur when installing the game from a disc. The in-game store would display the Bonus Episode as ‘owned' (displaying a checkbox) by default. However, the episode was not owned until a redemption voucher included in the box had been redeemed. With this change, the Bonus Episode will only show as ‘owned' when a redemption code has been used. We've fixed a visual issue with the display of Location Mastery on the location menus after reaching the max level. The game will no longer display “6000 XP to next level” when reaching the max level. We've made a back-end fix to Featured Contracts so that any complications for those contracts are correctly displayed. Previously, the Featured Contracts menu might display that all of the complications were activated when some of them were optional. The correct functionality was set in-game and this was purely a visual issue."